Spirituality Science. The Concept of Detached Devotion. I carefully examined Indian Schools of Thought and in general they recommend preparing seeker’s mind as the first step to commence study of Self or Adhyatma Vidya. The preparation recommended is that of severing attachments. In my analysis, breaking of attachments involves removal of all desires which includes the desire for Moksha, Mukti, Vimochan, Liberation, Salvation, Eternal Life, Everlasting Life, or Afterlife. The desire for Transcendence or reward of Life in Heaven/Paradise, the desire to avoid punishment of Life in Hell have to be discarded. To some extent, the concept of Nirvana demands not to desire even Higher or Perfect Knowledge. It is apparent to most investigators to find God is in Creation and yet God is Detached. If God is Detached, it is impossible for me to get or seek attachment to God. While God is detached, there is still Yoking, Joining, Coming Together, or Partnership, Association, and Bonding between Creation and Creator. I show Devotion for I lead conditioned or dependent Earthly Existence. I am not seeking my emancipation from my Dependence for it is operated by the Principle of Unity called “ASMI”, the Everlasting Principle in Sanskrit Language. For I recognize my Unity, I have no other Desires and I have no Desire for some kind of mental attachment to God. The Concept of Personal God of Ramanuja, or of Surrender to God, or Saranagati of Madhva do not call for Attachment to God. In my view, devotional service to God is absence of all Attachments. 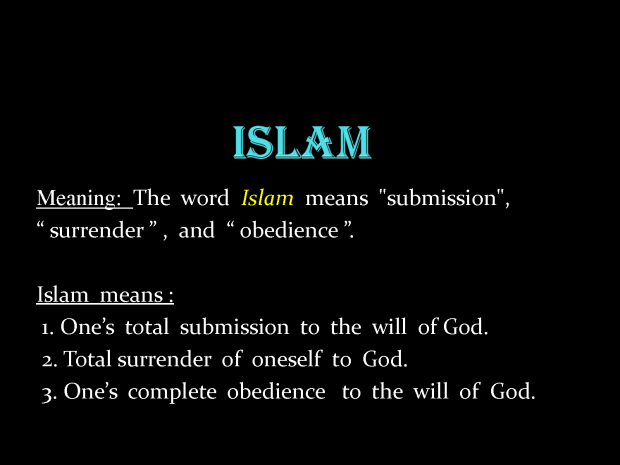 I accept the above concept of “ISLAM” for it does not demand Attachment to God to receive Higher Reward of Life in Paradise and does not impose threat or Fear of Life in Hell. Regulative Concepts & Principles, Constitutive Concepts & Principles are central to Kant’s philosophy. In the Critique of Pure Reason, this distinction marks the division between the Faculty of Reason and the Faculty of Understanding. The Understanding is constitutive of the possibility of Experience. All Experience must conform to the Concepts & Principles of the Understanding, which are realized or instantiated in Experience; Experience contains Substances, Causal Connections and so on. The Faculty of Reason, by contrast, is merely Regulative in relation to Experience. Although Reason too plays an indispensable role in Experience, the Concepts proper to it – the so-called ideas of Reason, such as the idea of God, or the idea of the World as a complete Totality cannot be realized or instantiated in Experience at all. Nevertheless, ideas of Reason still function legitimately to guide empirical inquiry into the objects that can be given in Experience. We declare, for example, that the Things in the World must be so considered as if they had their existence from a Highest Intelligence. It indicates not how an Object is Constituted but rather, how we, under its guidance, are to seek the Constitution and Connection of the Objects of Experience in general. Thus, Regulative Concept & Principle helps in complete Understanding of the Constitution and Connection of the Objects of Experience. In its regulative use, Reason guides our work in striving for Knowledge, helping us to correct errors and arrive at more comprehensive insights. Regulative Principles govern the Existence of Appearance. Such Principles may not be proven since Existence cannot be constituted. For example, man has no ability to constitute Living Matter called Protoplasm while man has general understanding of its constituents. Man may not be able to prove and verify all the Regulative Principles of Human Existence for he cannot constitute Living Matter. 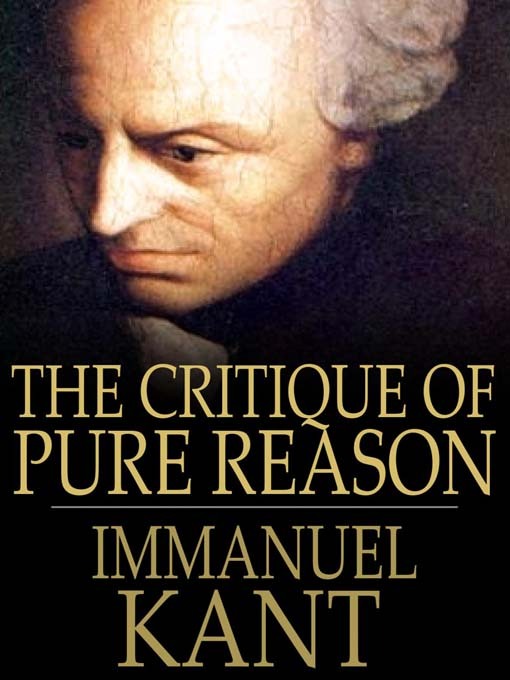 Kant discusses the Regulative Principles of Reason, which determine the limits of Reason. The Principles that objectively state what is present in the Object itself, that is, what is the Constitution of Appearance. These Principles of Pure Understanding describe standard and necessary Constituents of the World of Appearance. Regulative Principles play no part in determining the Objective Character of the World of Appearance. They are maxims, neither provable nor disprovable and are not to be understood as true or false. They serve to guide our inquiry within Experience and lead us to transgress the limits of Reason from the Conditioned to the Unconditioned. For example, I mentioned several times in the past as to how Human Existence is possible only under the influence of Illusion and not that of Reality of Earth’s Speed. In Indian Tradition, Pancha Prana (Breath of Life or VAYU) is described as Vyana, Samana, Udana, Apana and Prana. The term or phrase ‘PRANA’ refers to air that is in the heart, and the word is generally used to describe the act of breathing or respiration, as a sign or mark of Life. In reality, this air or breath, or VAYU exists in molecules of Hemoglobin contained in Red Blood Cells. 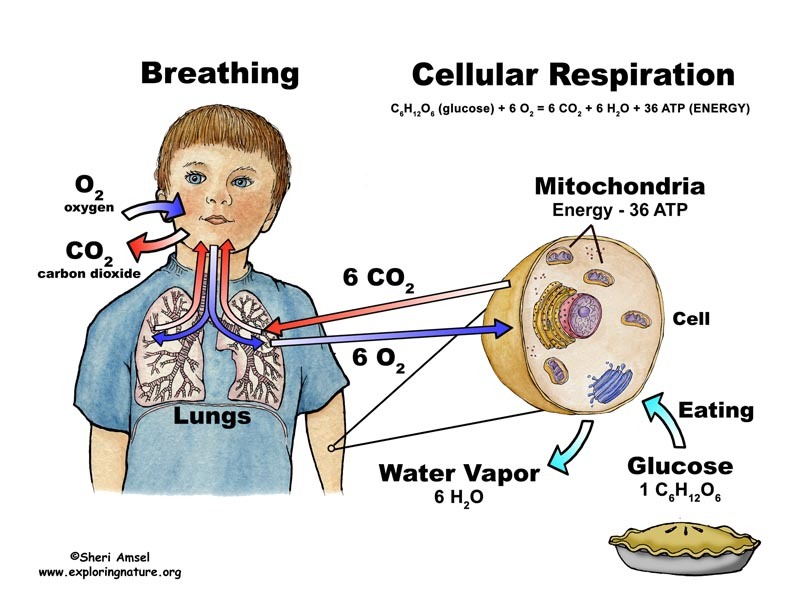 No religious doctrine mentions about Cellular Respiration. But, understanding of Existence and Life will be impossible without examining the Connection between Air, Breath, Vayu, Respiration and Food that sustains Life by providing Matter and Energy drawn from an external source. In Medical Science, understanding of man involves study of Human Anatomy (Structure and Constitution of Cells, Tissues, Organs, and Organ Systems of Human Body), and Human Physiology (Regulation of Functions of various Cells, Tissues, Organs, and Organ Systems of Human Body). 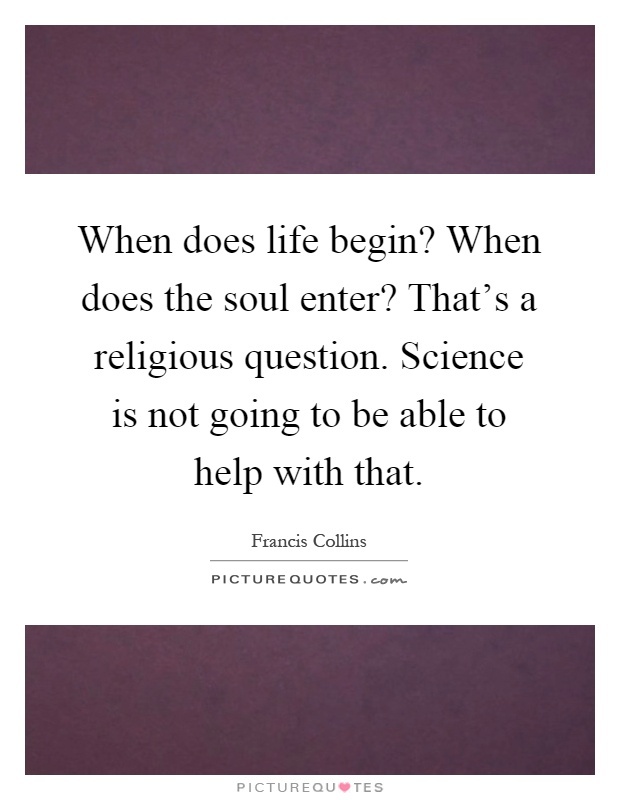 The understanding of Spirit or Soul begins with knowing as to When Life begins. I ask my readers to begin their inquiry by studying the Single, Fertilized Egg Cell which initiates man’s Life Journey. This Cell has Life, has ‘PRANA’ for it performs the vital function called ‘Cellular Respiration’. In the branch of knowledge dealing with the Gunas or modes of Prakrti, knowledge and action as well the doer have been declared to be of three kinds according to the Guna which predominates in each; hear them too duly from Me [18:19]. That by which man perceives one imerishble divine existence as undivided and equally present in all individual beings, know that knowledge to be Sattvika [18:20]. The knowledge by which man cognizes many existences of various kinds, as apart from one another, in all beings, know that knowledge to be Rajasika [18:21]. Again, the knowledge which clings to one body as if it were the whole, and which is irrational, has no real grasp of truth and is trivial, has been declared as Tamasika. [18:22]. How many of us perceive the one divine existence undivided and equally present in all? The rendering that Rudra gives us is Tamisaka. 17. He who neither desires the pleasant and rejoices at its touch nor abhors the unpleasant and sorrows at its touch, who has abolished the distinction between fortunate and unfortunate happenings (because his devotion receives all things equally as good from the hands of his eternal Lover and Master), he is dear to Me. 18-19. Equal to friend and enemy, equal to honour and insult, pleasure and pain, praise and blame, grief and happiness, heat and cold (to all that troubles with opposite affections the normal nature), silent, content and well-satisfied with anything and everything, not attached to person or thing, place or home, firm in mind (because it is constantly seated in the highest self and fixed for ever on the one divine object of his love and adoration), that man is dear to Me. 20. But exceedingly dear to Me are those devotees who make Me (the Purushottama) their one supreme aim and follow out with a perfect faith and exactitude the immortalising Dharma described in this teaching. The Muslim does not really know the Will of God, for he considers His Will to be what is written in the Koran. The Koran was given to a particular individual. Socrates knew God’sWill, for he was personally guided by his Soul. God spoke to him. This concept is absent in Islam. What do you say to this teaching of the Koran? The concept of Heaven and Hell is expressed in various parts of World. All human cultures share some aspects of such beliefs. My concern is not about either embracing or rejecting such concepts. Detachment, aloofness, estrangement, alienation, separation, disinterestedness, lack of involvement is described in Indian Tradition as necessary to perform action without seeking the results or fruits of any kind of action including Good or Sattvic action.